Rick Hanson, senior fellow at the Greater Good Science Center at UC Berkeley and a New York Times best-selling author of several books, has teamed up with his son Forrest, a writer and editor for the website Eusophi, to write a book to help us heal from our past and develop resources to cope with the present and future. 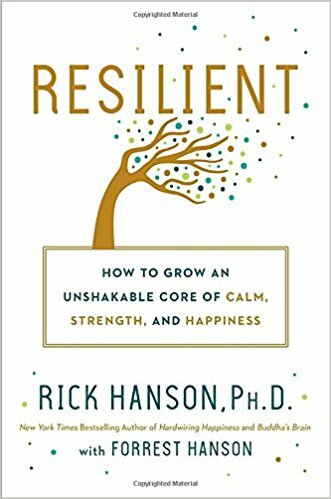 Resilient: How to Grow an Unshakable Core of Calm, Strength, and Happiness draws on neuroscientific and psychological research to help readers cope with adversity. Rick and Forrest Hanson argue that people have three basic needs—safety, satisfaction, and connection. We meet those needs in four ways: recognizing the truth, building our resources, regulating thoughts and feelings, and relating to others and the world. The book is structured such that Hanson and Hanson describe twelve inner strengths we can develop to become resilient. Each of those twelve strengths—compassion, mindfulness, learning, grit, gratitude, confidence, calm, motivation, intimacy, courage, aspiration, and generosity—corresponds to the combination of one of the three aforementioned needs with one of the four aforementioned ways of meeting those needs. With stories to bring the twelve strengths alive and exercises for the reader to practice enacting these strengths, this book is intended to be a useful guide to help the reader build resilience at once and develop habits that will encourage the strengths to bring about lasting change. The first of these strengths is compassion, or recognizing pain and wanting to relieve it. Hanson and Hanson emphasize that compassion for oneself, not only for others, is critical. 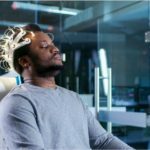 For example, given that certain neurotransmitters in the brain respond to pleasurable activities, by focusing on enjoyable aspects of a task we can make it easier for ourselves to engage in the task. Attending to the present moment all the time, can be hard to do; yet this skill of mindful attention shapes who we become. Hanson and Hanson offer guidance for engaging in meditative practices, letting go of negative thoughts, and seeking out experiences to restore and maintain psychological balance. Our ability to learn is also key to our resilience. We learn when we have beneficial experiences, enrich them, absorb them, and link them to other ideas and experiences. The authors argue that our neocortex, the size of which distinguishes us from other species, enables us to exercise strengths such as compassion, mindfulness, and learning that make us resilient. Three strengths that allow us to build our internal resources to support resilience are grit, gratitude, and confidence. Grit means finding a way to be resourceful, even when one feels depleted. It requires having a sense that one has agency to make things happen and determination and patience to see them through. Accepting oneself and maintaining health habits can build one’s reserve so that he can demonstrate grit when needed. Giving thanks, seeking pleasurable experiences, feeling personally successful, and experiencing joy for others can lead to greater gratitude. Gratitude, in turn, is associated with greater satisfaction and physical health. 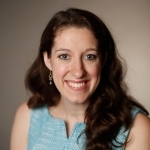 Early life experiences (e.g., patterns of parental attachment) and recent experiences with rejection can lead to feelings of insecurity and heightened self-criticism. Regardless of one’s past, we can develop confidence by building a coherent narrative of our life experiences, being mindful of their self-criticism, and nurturing a supportive inner voice. Calmness, motivation, and intimacy require us to regulate our thoughts, feelings, and actions. To experience calm Hanson and Hanson advise relaxing deeply each week, slowing down, harnessing the power of breath, drawing on the support of loved ones, and recognizing that anger hurts the person who feels it at least as much as it hurts the object of his anger. Motivation can help people pursue opportunities even when doing so is challenging. It can also lead people to perpetually experience want. Hanson and Hanson argue that one way to relieve suffering is to try to want less and be satisfied with what one has. They explain that dopamine is released in response to novelty and reward, which impacts motivation. Support, rather than criticism, can help individuals stay motivated. Being known by others and connecting with them helps us build resilience. We can experience this intimacy with others when we recognize that being strongly autonomous actually facilitates, rather than diminishes, intimacy. Empathy, compassion, and kindness also help people develop intimacy. The final way in which people seek to satisfy their needs is by relating to others. Courage, aspiration, and generosity are skills that help us relate to others. Specifically, Hanson and Hanson focus on the courage to speak one’s own truth, share experiences, and negotiate fairly with others. They remind their readers that, while each day may pass slowly, years seem to pass quickly. As such, we should strive to use each day to bring us closer to achieving what matters to us. When we are willing to fail in achieving our goals and cease comparing our accomplishments to those of others, we become more likely to succeed. Hanson and Hanson conclude with a call for generosity. Giving without expectation of reciprocity, enjoying the experience of giving, forgiving ourselves and others, and expanding the circle of people with whom we feel similar can help us build the reserve we need to face the challenges we may encounter. With its diverse strategies and exercise to practice implementation, Resilient is a useful read for those currently in need of strong psychological resources to navigate a challenge as well as for those who hope to engage in a reflective exercise and strengthen their psychological resources. Hanson, R. (2018). 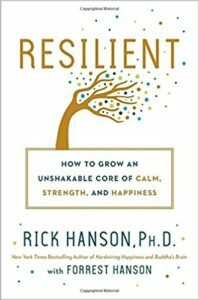 Resilient: How to Grow an Unshakable Core of Calm, Strength, and Happiness. New York, NY: Harmony Books. 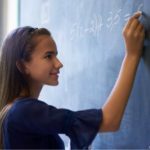 How Would You Like Inventing a New Math?